Support the music in our Cathedral and churches this October. 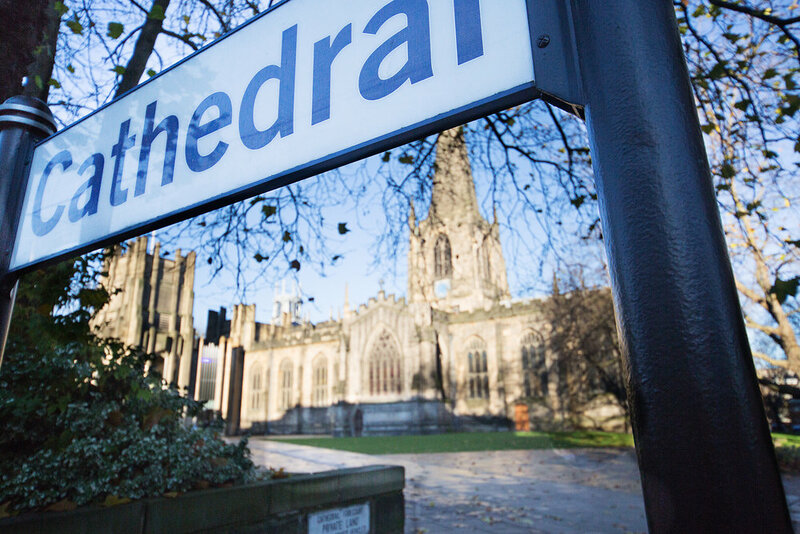 Friends of Cathedral Music and Young Organ Scholars’ Trust and have joined forces to organise two exciting events in Sheffield. Following the Lunchtime Recital Tom Corns, Director of Music, will give a talk on what is involved in preparing and performing a new piece of sacred choral music. Many talented musicians are composing sacred music and it will be fascinating to learn what it takes to perform such new works. This talk will be followed by an open rehearsal for Evensong and there will be opportunity participate in this musical jewel in the crown of Anglican worship. Have you ever wondered what it takes to play the organ? On Saturday morning you have the chance to attend tuition classes for young organ scholars and learn more about the work of the Young Organ Scholars’ Trust. This will be taking place at Doncaster Minster. Following this exciting opportunity, some of the scholars will give a recital at 2 pm. During the day you will also be able to explore Doncaster Minster and learn about its magnificent organ. You do not need to be a member of either organisation to attend either or both these events. If you are curious, Virge James will be available for a chat after the 10:30 service on Sunday 23rd September.